Newly relocated to London’s Southbank, this yearly celebration of local talent is the place to shop new designs and be inspired. Find out how to get discounted entry tickets below. 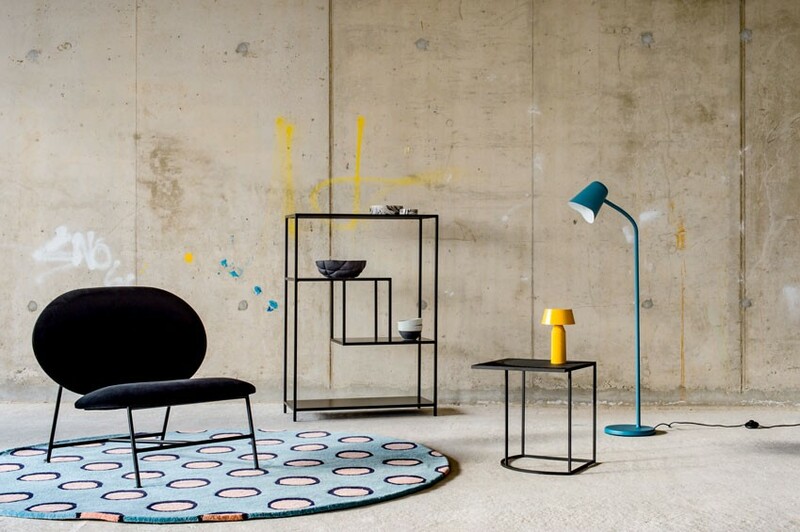 Now in its eighth year, designjunction is known for being the home of established and emerging talent and cutting edge concepts, and for being one of the most shoppable exhibitions in the whole of London Design Festival. This year, the show’s selection of stellar UK and international brands such as Caesarstone, Bontempi, LSA, Rado and Vitra will be showcased across three venues – Doon Street, Oxo Tower Wharf and Riverside Walkway. Think of it as your creative hub where you can meet designers, be inspired, and leave having bought your favourite pieces. ELLE Decoration’s Executive Editor Ben Spriggs will be taking part in a conversation about craftsmanship, joined by designers Sebastian Cox and Ini Archibong as well as the head of interiors for architecture firm Squire and Partners, Maria Cheung. This year, we will be hosting the designjunction cafe, operated by Workshop Coffee. 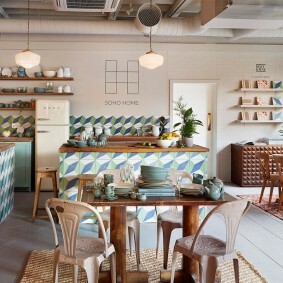 Located at Doon Street, the space will be furnished with beautiful furniture from Danish design brand Frama and stylish shelving from String, with drinks served on minimalist coffeeware the Japanese lifestyle store Kinto. Visit on Saturday 22 and Sunday 23 September to shop your favourite brands, including Iitala (above), Emma Alington and Deco Collective and more at discounted prices. Go to the ELLE Decoration café and pick up your coupon to redeem the offers. Look out for ELLE Decoration swing tags on participating brands. T&Cs apply. Hand-made in London, Abalon’s ambient candles double up as a stunning, porcelain tea cup once burnt. Adriana Homewares make luxurious fabrics and homewares using 100% British Wool. The world’s your oyster with Another Studios ‘Fun Miniatures’. Build the earth or the classic car of your dreams with easy to follow instructions. The team at Billy Tannery turn goat hide – a once wasted food by-product – into beautiful, sustainable leather. Shop Campbell Cole for ‘seasonless’, smart and minimal leather accessories. Bold, colourful and architecturally inspired… Chalk Jewellery sells the most incredible statement pieces. Shop wonderfully mix-matched bed linen from Deco Collective alongside a curated mix of complimentary homeware brands like Tom Pigeon. Inspired by their own travels, Earl of East launch a collection of oils, salts and soy candles. The scents, we’re promised, will transport you straight to Japan. Shop East End Prints’ collection of affordable pieces and instantly revamp any room in your home. There’s no point in trying to resist Emma Alington’s beautiful handmade ceramics, especially her new spotted range. 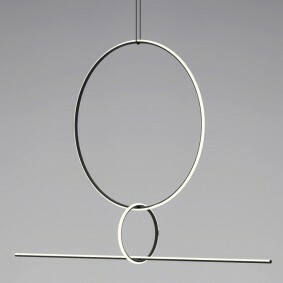 Founded by twin sisters from in Seoul, Hanaduri make hand-made, sculptural pieces which play on balance. 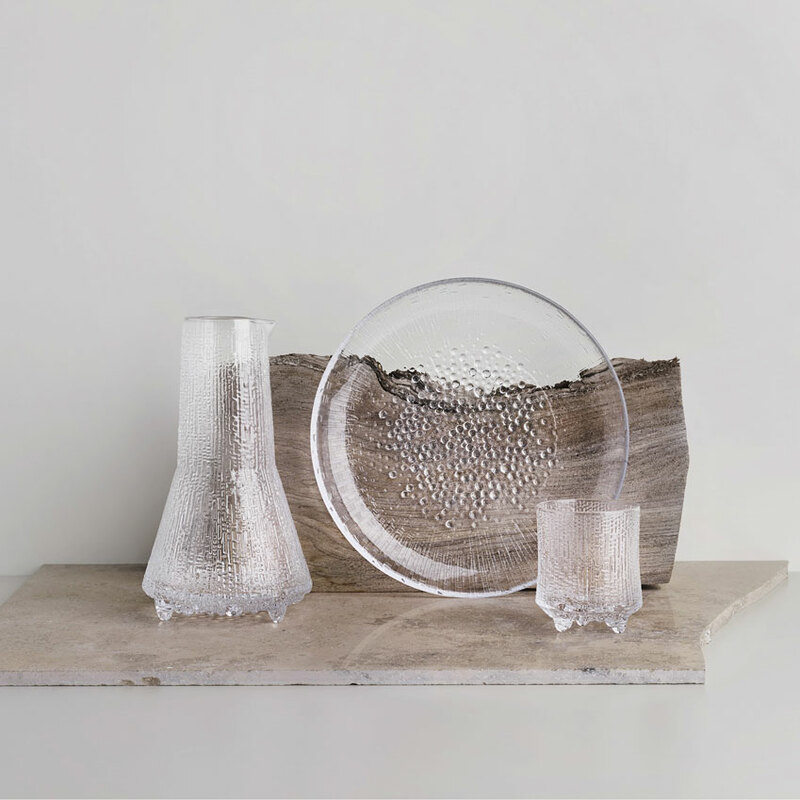 There’s a delicate prettiness to Finnish brand Iittala’s Ultima Thule range, which is inspired by the melting ice of the far north in Lapland. Designed to celebrate this glorious summer, Industrial Jewellery’s Rainbow Collection has a hue to suit everyone’s taste. Get suave by visiting Jeya Narrative, a brand designed solely for the gratification and self-development of the ‘discerning man’ through style. Katie Leamon’s luxury stationery collection is made from a family run production studio in the English countryside. With the summer heatwave stretching on, there’s never been a better time to invest in a new pair of Monc’s artisanal sunglasses. Pop to Pelican Story to pick up a ‘Little Darling’ lamp by Swedish Ninja, available in a range of tempting colours and finishes. Sarah Straussberg’s jewellery is made from 18ct gold plate. With a background in sculpture, Sarah creates jewellery that is both elegant and wearable. Stone Gift have not one, but two stands at the show this year. Make sure you stop by both to shop a selection of design-led accessories.